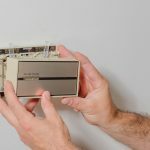 Before you can truly understand how hard your air conditioner must work to remove the heat from your home, you must first understand how heat really works. Then, you can apply some great money-saving tips and tricks to improve your air conditioner’s efficiency and longevity. First and foremost, heat is all a matter of perception to many of us. As an example, imagine that you put a cup of cold ice water and a mug of hot coffee on your dining room table. If you let it sit there for a few hours, you are going to perceive that your ice water has gotten warm and your coffee has gotten hot even though they are the exact same temperature. Thus, the purpose of air conditioning is to create a temperature in your home or business that feels comfortable to you and to others. Why Does It Get So Hot? On a really warm summer day, if you were to place your palm flat against an outside door in your home or office, you would likely notice that it feels warm to the touch. This is because of a property known as ‘conduction’. Essentially, the door is conducting the heat from outside into your home or business. Once the door is warm, that heat gets into the air via a process called ‘convection’. To put it simply, conduction is the transfer of heat through solid matter while convection is the transfer of heat through a gas or a liquid. Finally, heat can actually radiate through the windows in your home. Radiation is defined as the transference of heat to surfaces without warming the space between them. When you open the door to your nice, cool home on a hot summer day, you are not letting the cooled air outdoors. In fact, it is quite the opposite – the hot outside air always rushes in to fill the cooled space. This is the backbone of the second law of thermodynamics, and it’s actually simpler than you might think to understand. Energy, by its very nature, disperses itself evenly into solids, liquids and gases over time. Heated air contains more energy than cooled air, so the hot outdoor air essentially ‘spreads’ into your home so that the energy (which is the heat itself) can be dispersed evenly into the air. 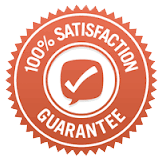 Of course, then, the purpose of your air conditioner is to get rid of the heat that enters your home or office through conduction, convection or radiation. While these processes are always going to let in some heat, there are things you can do to help. You can use weather stripping around doors, you can use double- or even triple-pane windows and drapes that block radiation and you can insulate your walls to keep heat from entering through them. 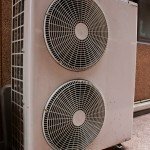 When you do these things, your air conditioner has less heat to remove and you save quite a bit of money annually and improve the lifespan of your air conditioner. In short, keeping the heat out of your home or office in the first place is the best way to save money on cooling costs. Learning about how heat actually works can help you figure out the best ways to keep it outside in the bright Florida sunshine where it belongs.